OJ Simpson Tried To Disqualify Prosecutors in His Appeal – Supreme Court Says Nu-uh! 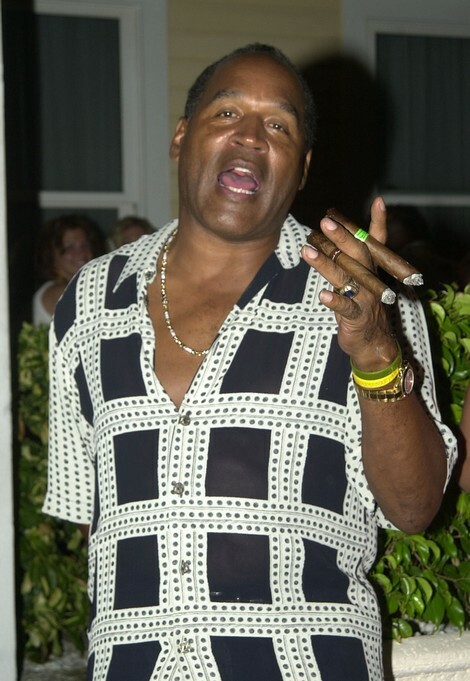 In 2008, Karma bit OJ in his face when he was convicted of a hotel room heist with five other people. They allegedly tried to reclaim sports memorabilia from a couple of dealers. According to OJ’s defense team during the trial, Simpson wanted to repossess family photos and mementos he claimed were stolen from him after his acquittal of the infamous Nicole Brown Simpson and Ron Goldman murder case – which he was later held accountable for after a civil trial. According to The Nevada Supreme Court ruling, OJ will not be able to disqualify the prosecutors in his appeal trial, even though his own attorney has said that it’s a severe conflict of interest for the prosecutors. According to legal documents, Steve Wolfson, the lead prosecutor, is married to the Judge Jackie Glass, who presided and ruled over OJ’s trial back in 2008. Let us know in the comments below your thoughts on OJ’s lengthy court battles? Not to rehash old news, but do you think this conviction is karmic retribution?